Visiting the Oglethorpe University Museum of Art and seeing its impressive collection of original art took me back to visits to the Smithsonian Institution in Washington, D.C.,…the exhibits are that impressive. 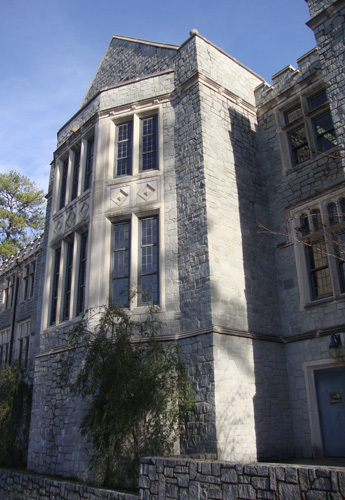 "Knowledge Through Beauty" is the museum’s motto, which is keenly apt for this hidden gem. I only recently learned of the museum. I would have visited sooner had I not made the erroneous assumption that it was an exhibit, not an actual museum. My bad. Although a modest space (probably better described as "a museum in an intimate setting"), the stature of the exhibitions is truly remarkable. 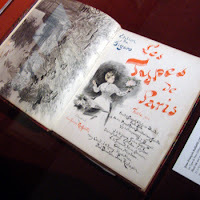 I would soon discover in the first gallery alone more than forty drawings and sculptures created by the masters Rodin, Renoir, Gauguin, and Degas, to name just a few…but, more about that in just a moment. 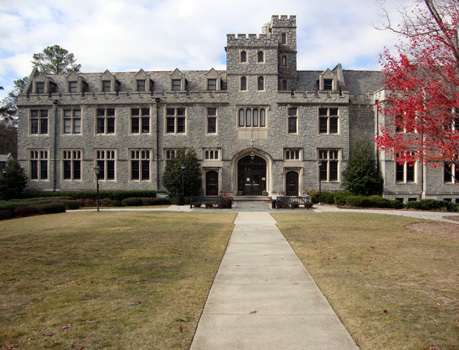 Oglethorpe University, which I'd passed at least 100 times since the late 1980s, has a campus considerably larger than I'd realized. I did not print a copy of the campus map, hoping that my memory would guide me to the building that houses the museum. I drove onto the campus and found well-placed signs that directed me to the exact location of the exhibit. There is ample parking on the campus grounds, but you can easily find parking behind the Philip Weltner Library Building. The museum is on the Library's third floor. I arrived at the museum about a half hour before the tour began. I wanted to get the lay of the land and I had another engagement later the same afternoon, so the extra time would ensure I'd at least get to see what the museum has to offer. The museum greeter, presumably a student at the university, was in the gift shop immediately in front of the elevator exit. Very sweet, she gave me all the information I needed to explore the museum and collected the very modest charge for admission. Later, with the greatest tenacity, she ensured I received the proper holiday discount on a gift shop purchase. I wandered into the first gallery and within minutes was approached by one of the museum docents. The silver-haired, pleasant-faced Lynn and I became quick friends. She also was to be the two o'clock tour guide. No one else had arrived just yet for the tour, but Lynn still proceeded to share her excitement for the exhibition, "Nineteenth Century French Master Drawing and Sculpture from the Schlosberg Collection," and gave me a pre-tour presentation. We also chatted about the upcoming exhibitions, other museums around the world, and art collecting. Lynn is one of those rare tour guides who make you feel less like you're on a tour and more like you're visiting a tourist destination with a friend who just happens to be an expert on the site. Others did arrive for the tour and were eager to get in on the action. There were first-timers, museum veterans, singles, couples…quite a diverse gathering of art lovers. Lynn, who was joined by Linda, another knowledgeable docent, began the tour and eloquently, barely able to contain her enthusiasm, talked through the highlights of the collection. 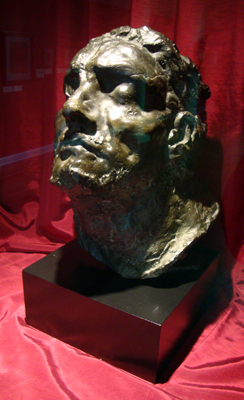 The current exhibit of 19th Century French Masters drawings has 39 original drawings, some studies and some finished works, and two bronze busts, one of them of Rodin. 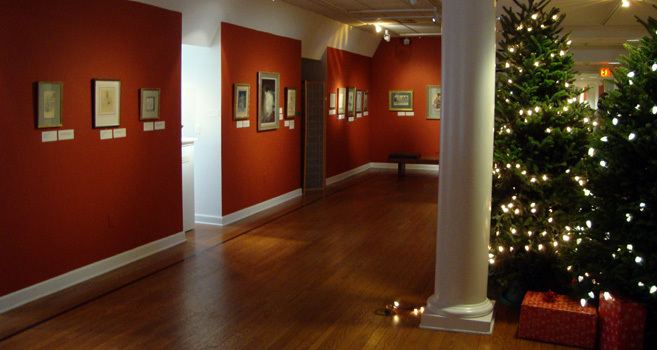 The exhibit is approximately 15 percent of the private collection of Dr. and Mrs. Michael Schlossberg. His collection was noted by Art & Antiques Magazine as one of the top 100 private collections in the United States. Each of the works has a plaque that gives the usual information (title, artist, date), and many of them, the ones that are studies, have an image of the final work of art they were part of. We proceeded through the two other galleries, which had collections equally impressive and rare, but with paintings and more sculptures of other mediums, including one created in terracotta. 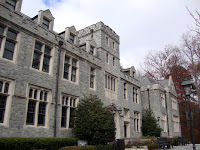 I was always impressed with architecture of Oglethorpe University, as seen from the street, but to say I was surprised to find such an amazing collection of works of art in a university museum would be an understatement. 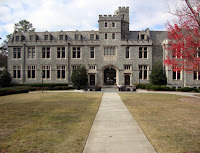 When looking for something to do that's not quite mainstream but just as grand, consider a tour of Oglethorpe University Museum of Art. Docent-led tours are offered on Sundays at 2:00 p.m., otherwise self-guided tours are available Tuesday through Sunday, 12 p.m. – 5 p.m. Currently adorned with an origami mobile, be sure to stop by the gift shop where you'll find unique gift items created by local and university artists. Am I going back to Oglethorpe University Museum of Art? Lynn's enthusiasm for the coming exhibits doesn't really give me a choice, but even aside from her charm and charisma, the next two exhibitions have my interest piqued…I’ll definitely be there. Hours: Tuesday-Sunday 12 p.m. – 5 p.m.; closed Mondays and University holidays.